One hundred seventy years ago, a wise monk made a section of land known as the Villians Valley, a sanctuary. Anyone who came to the valley was considered protected and safe from the law. The proclamation also stated that they should have a chance at repentance. The Master of Eva Palace (Anita Yuen), who is now master of the martial arts world, holds no regard for the ancient laws and enters the valley in search of the 10 Untouchable Villians becuase she has a warrant of justice to destroy them. The remaining 8 villians were actually the 10 Untouchable Heroes until they were framed by two of their own members, The Twin Villians, and used as scapegoats. Master Yin, the husband of the Master of Eva Palace, arrives just in time to rescue them. One of the 10 villians, Big Mouth Lee (Ng Man Tat), is his friend and Yin believes that they are innocent. Despite being married and having a child together, the Master of Eva Palace and Yin fight each other without remorse. Master Yin defeats his wife at the expense of being turned into a vegetable- paralyzed and mute. 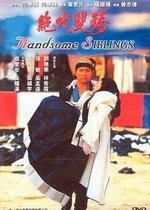 Years later, Yin's son, played by Andy Lau, decides to enter a kung fu competition which can make him Master of the martial arts world. Things get complicated when he finds out that the Master of Eva Palace is his mother and that he must face her student, Brigitte Lin, a woman whom he has fallen in love with. Your message must be at least 30 chars long (aprox 1 line). Are you sure you want to place an alert for this video ?